A 4–1 win over Freiburg finished off Bayern Munich’s fifth consecutive Bundesliga title and both Philipp Lahm and Xabi Alonso’s career. 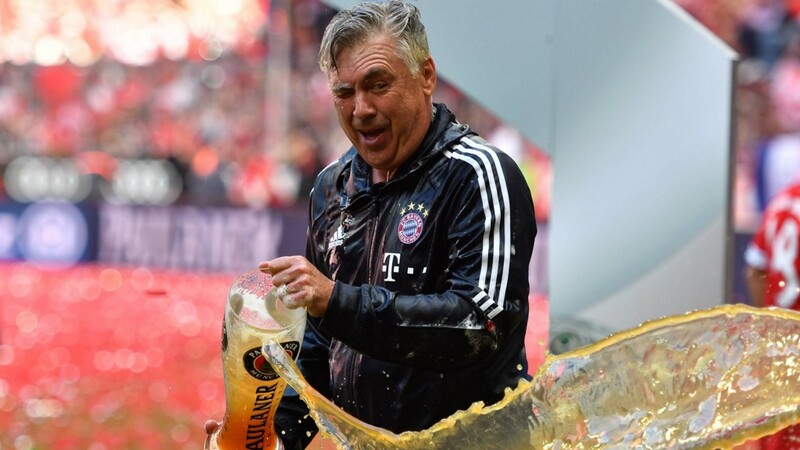 It also marked the long overdue end of Carlo Ancelotti’s beer-bath virginity. Also, David Alaba gave Arjen Robben a new head of hair. Then Robben passed on the favor. But the casual cool of Ancelotti in lederhosen remains. One final thing you have to see: Manuel Neuer keeping his injured foot elevated while wearing his full kit and waving his hands in the air like he just doesn’t care.